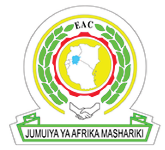 The East African Community is a regional intergovernmental organization comprising the Republic of Burundi, the Republic of Kenya, the Republic of Rwanda, , Republic of South Sudan, the United Republic of Tanzania and the Republic of Uganda with its Headquarters in Arusha, Tanzania. This is an exciting opportunity for highly motivated and result-driven professionals who are citizens of East African Community Partner States (Burundi, Kenya, Rwanda, South Sudan, Tanzania, and Uganda) to apply for the following position tenable at East African Community-Secretariat. To compile, analyse and disseminate EAC trade data through preparation of EAC Annual Trade reports plus uploading and managing trade data in the EAC Trade Help Desk. Helping in the management of the Partner States trade portals and harmonizing them with the EAC Trade Help Desk/Portal. Work closely with the other ICT and Information-related departments in the Secretariat and Partner States to promote trade for the EAC. Undertake any other related official duties assigned by supervisors from time to time. Bachelor’s degree in Statistics, Economics, Law, Business Administration, International Trade, or related field. Masters’ Degree and a Specialized training in the field of trade data analysis will be an added advantage. Must have 5 years relevant experience in data collection, analysis and reporting, preparation of Trade reports. Possession of quantitative analytical skills, proficiency in the use of Computers (Information Technology (IT) skills) and ability to provide clear and objective advice and recommendations; Strong communication skills, Knowledge of trade policy issues and regional integration; Excellent report writing and presentation skills. Applicants from all Six Partner States are eligible to apply for this position under East African Community - Secretariat. The established posts offer attractive fringe benefits including housing allowance, transport allowance, education allowance, a medical scheme, and insurance cover. Applications should be submitted to the address below not later than Friday, 21 July 2017.